I'm happy to announce that we have joined with Affordable Agility to provide you with our new Agility Store. I hope you'll check it out and see what we have available. 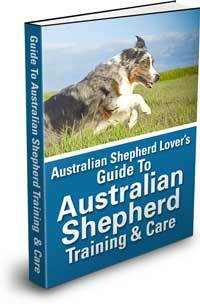 Keep in mind that any purchases you make through our Agility Store helps support us at Australian-Shepherd-Lovers.com. If you have any questions about the products or your order the good people at Affordable Agility are happy to help. Hope you like it. Another stunning photo of his Aussie, Jasper, sent in by Todd Wynia.